Yesterday Apple announced their new iPad Mini and now we have the full specifications on Apple’s latest tablet, the iPad Mini features a 9.7 inch multi-touch display with a resolution of 1024 x 768 pixels and 163 ppi, which is the same resolution as the iPad 2. 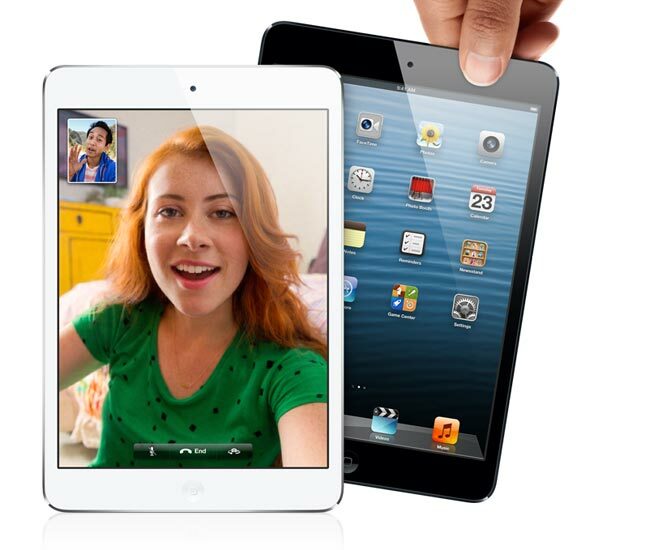 The iPad Mini features a dual core A5x processor and two cameras, on the front of the device is 1.2 megapixel FaceTime HD Camera, on the the back is a 5 megapixel iSight camera with auto-focus, face detection and a f/2.4 aperture five element lens with backside illumination. The iSight camera is capable of recording full HD video in 1080p it also comes with video stabilization, face detection and tap to focus whilst recording, there is also a 16.3 watt hour rechargeable battery which will give you up to 10 hours of usage. The iPad mini also comes with WiFi, and a digital compass there is also a 4G LTE capable model, and it comes in a range of storage sizes which include 16GB, 32GB and 64GB. The iPad Mini comes in a choice of black and slate or white and silver, it will go up for pre-order this Friday on the 26th of October and will launch on Friday the 2nd of November, you can find out more information over at Apple.